Church will be open from 7 AM to 9 AM and 11 AM to 1 PM for prayer. 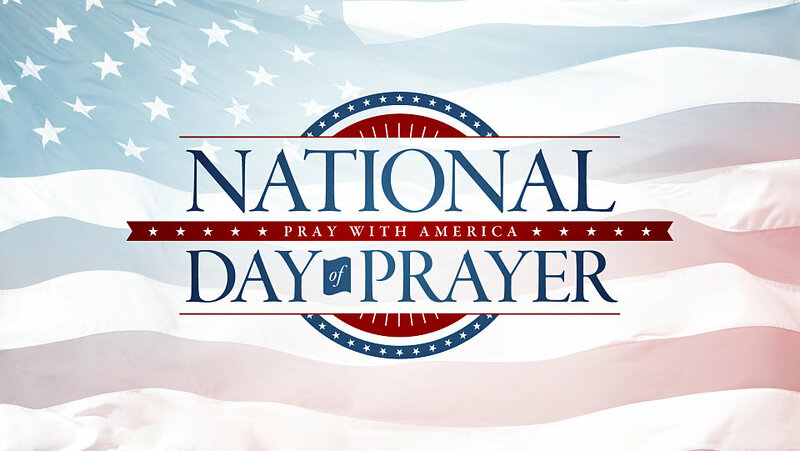 Special prayer time at 12:15 at the flag pole. Prayer Emphasis: 5 Prayers for Unity & 7 Centers of Influence. Prayer guides will be in the bulletin on April 29 and available the day of.